3 Bedroom Semi Detached Bungalow For Sale in Wigan for Asking Price £190,000. Situated in a popular residential area of Ashton-in-Makerfield, the property is close to many local amenities and commuter links. 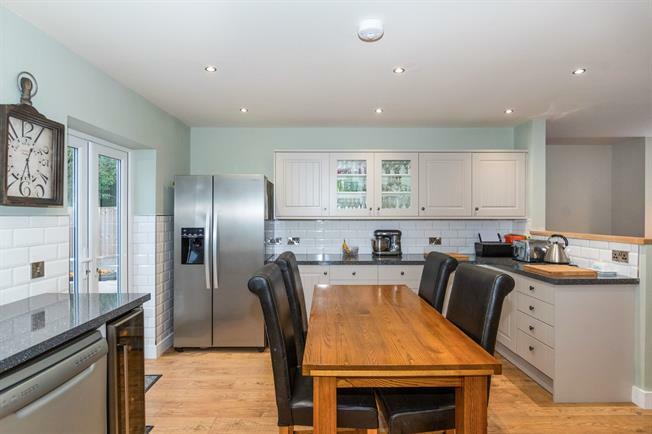 In brief the ground floor accommodation on offer comprises of an spacious lounge with open plan kitchen/diner, shower room, utility room and master bedroom. On the first floor there are two double bedrooms and a family bathroom. Externally there are front and rear gardens with a driveway and integral garage. Double glazed window facing the front, wooden flooring and feature log burner. Double glazed window facing the rear, French doors which open onto the rear garden, wooden flooring. Double glazed window facing the side. Standard WC, wash hand basin, walk in shower enclosure. Standard wc, panelled bath with shower, wash hand basin, skylight.